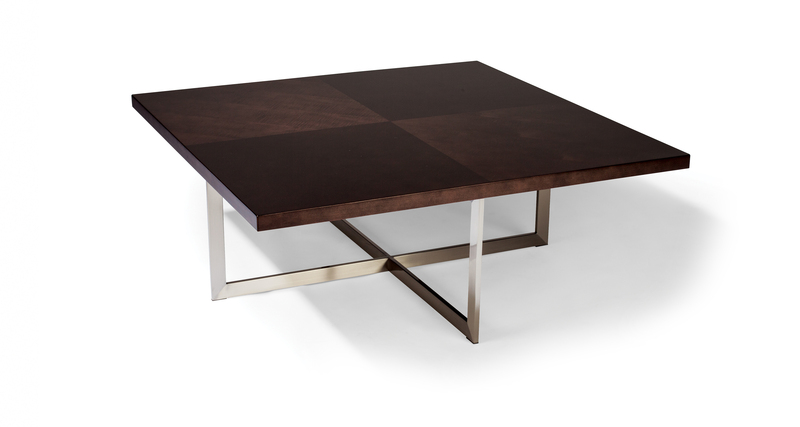 Our Mabel Maple square cocktail table features a quartered figured maple veneer top with a brushed stainless steel base. Mabel Maple's table top is available in any of our TC wood finishes. A side table, round cocktail and oval cocktail table are also available in the Mabel Maple product style. Top is quartered figured maple veneer (reverse diamond pattern). Available in any TC wood finish. Must specify. Base is brushed stainless steel.